Fall flavors are front and center in this crowd-pleasing, make-ahead Pumpkin Cream Cheese Dip! There’s no tastier way to satisfy your pumpkin craving this fall than with this quick and easy Pumpkin Cream Cheese Dip. It’s the perfect informal dessert recipe for nearly any occasion, from tailgating to Halloween parties! 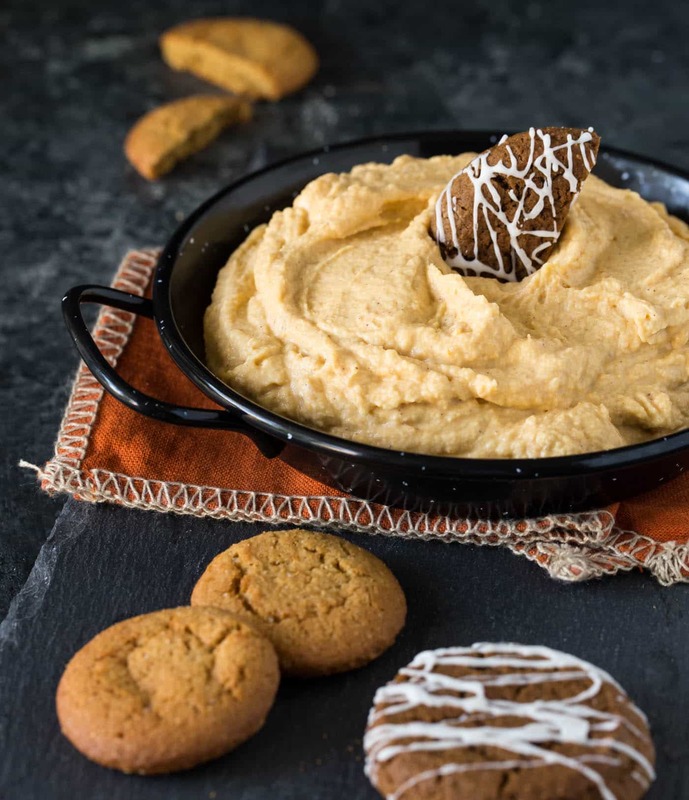 We love how this Pumpkin Cream Cheese Dip is so flavorful and is just rich enough to satisfy your sweet tooth without being overly indulgent. Our favorite way to eat this dip is with any variety of molasses or gingersnap cookies, but you can also serve it with vanilla wafers, graham crackers, apple slices or even pretzels for a little sweet and salty action. Hosting a crowd? Double the recipe and make it the day before your party. A quick stir is all that’s needed before serving. Plus it transports well so make this Pumpkin Cream Cheese Dip your go-to dessert for your next potluck party. Tip: This recipe only uses part of a can of pumpkin puree. Freeze the rest for making this Pumpkin Cream Cheese Dip again or indulge in another pumpkin dessert. 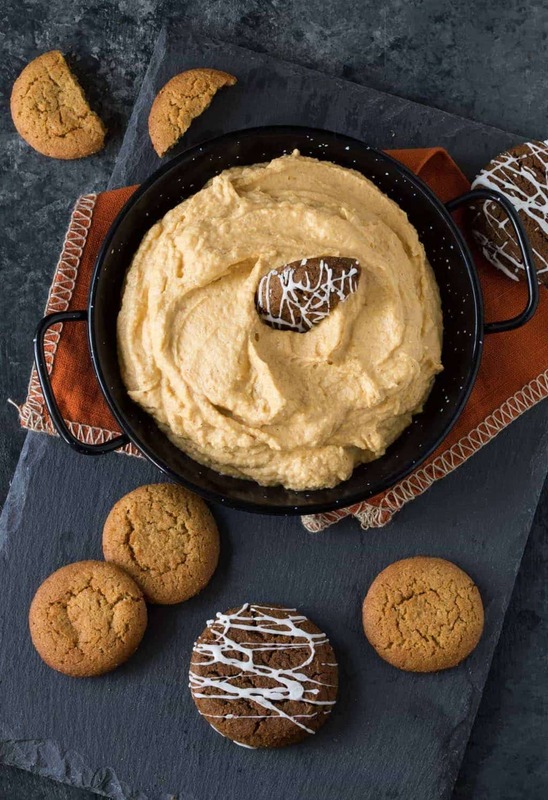 Chocolate Chip Pumpkin Roll or Pumpkin Spice Mini-Donuts, anyone? Place cream cheese and butter in a medium bowl and beat until light and fluffy. Add remaining ingredients and beat again until smooth. Serve immediately or refrigerate until ready to serve. So perfect timing ! Pinning ! Thank you so much !